Look, we’ve told you about Amazon’s killer sale on Sonos speakers multiple times now. Why? 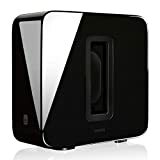 Because Sonos speakers are outstanding, and opportunities to save money on them are rare. One such opportunity has presented itself though, and it only lasts until the end of the day tomorrow. 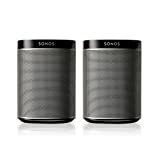 Until then you can save $50 on a 2-pack of Sonos Play:1 speakers, and $100 off the price of the Sonos SUB. Hurry!